Siem Reap, which literally means the “Defeat of Siam”, is the most prosperous region of contemporary Cambodia. Its close proximity to the Angkor Wat temple complex has turned the city into one of the world’s premier travel destinations. With many cultural landscapes and development of many resorts, currently, Siem Reap attracts so many tourists each year. 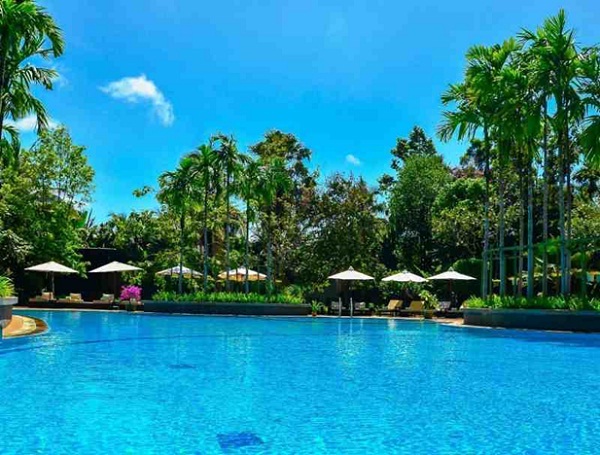 There are 3 resorts that you should not miss when you travel in Siem Reap. 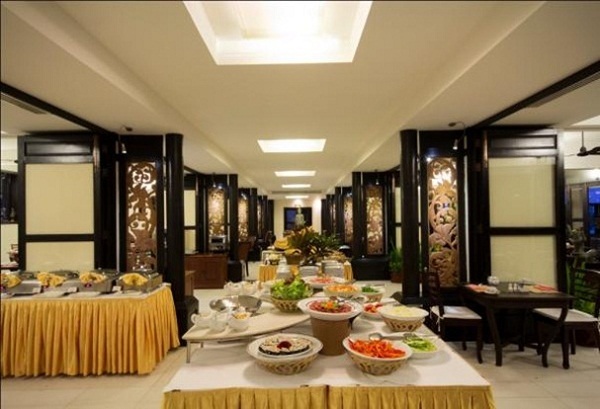 Location is everything and the Resort is located in between Siem Reap International Airport and downtown Siem Reap. The gate of Angkor Wat is not very far from the Resort and it can be reached within 15 minutes from Royal Angkor Resort. 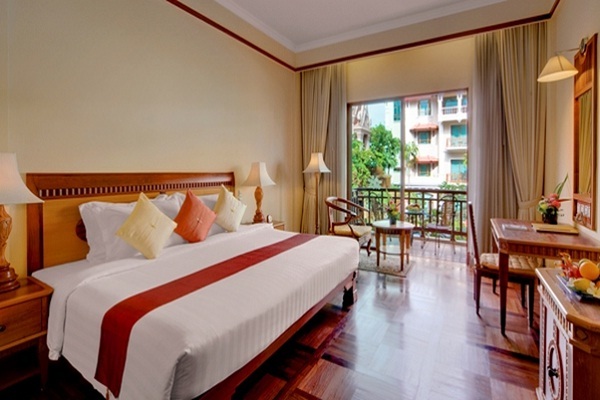 With an ideal location, Royal Angkor Resort and Spa is always choice for many tourists when traveling in Siem Reap. Offering comfortable accommodation and quality services, Borei Angkor Resort and Spa is an ideal place for a pleasant and wonderful stay. Specially, offering the state-of-the-art audio and visual technology to meet all your needs, the convention rooms that can accommodate up to 450 delegates are an ideal place for hosting your business meetings, presentation and seminars. At leisure, you can make use of the recreational facilities such as gymnasium, swimming and spa available in the hotel. 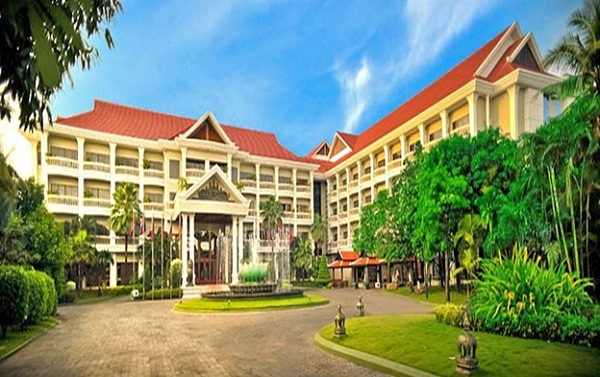 Sokha Angkor Resort – luxurious five-star hotel is setting within the township of Siem Reap City showcase 276 guestrooms and suites decorated with a modern Khmer design for comfort. Sokha Angkor has been designed with the needs of business and leisure travelers on a short and long trip to this heritage and cultural city, and more permanent visitors in mind, with room sizes ranging from 38 square meters to expansive 83 square meters. 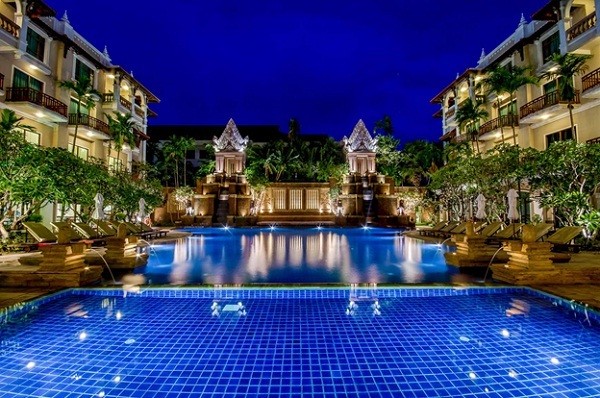 This luxury Siem Reap hotel also includes the finest facilities and services, from the glorious salt-swimming pool surrounded by frangipanis and a fully-equipped fitness center, to the stylish restaurant serving local and international cuisine. 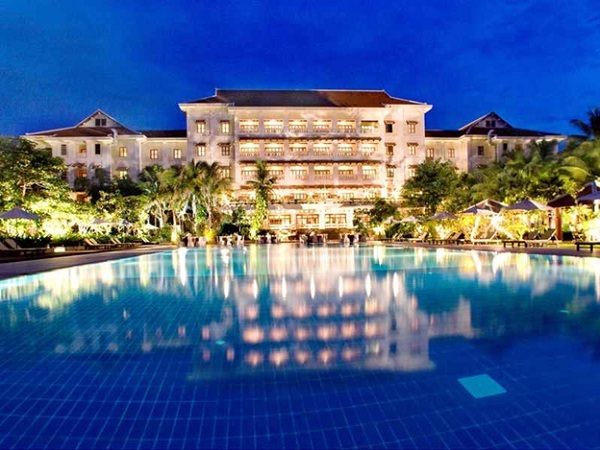 With an ideal location and convenience that these resorts offer, surely, tourists will have a fully wonderful travel in Siem Reap.